Sitting is the smoking of our generation. To stand up and move around once in a while improves your health. "Break Time" reminds you to do that, with suggestions on what you can do during the breaks. Can be used in schools, workplaces, collectives or just by individuals who care about their health. 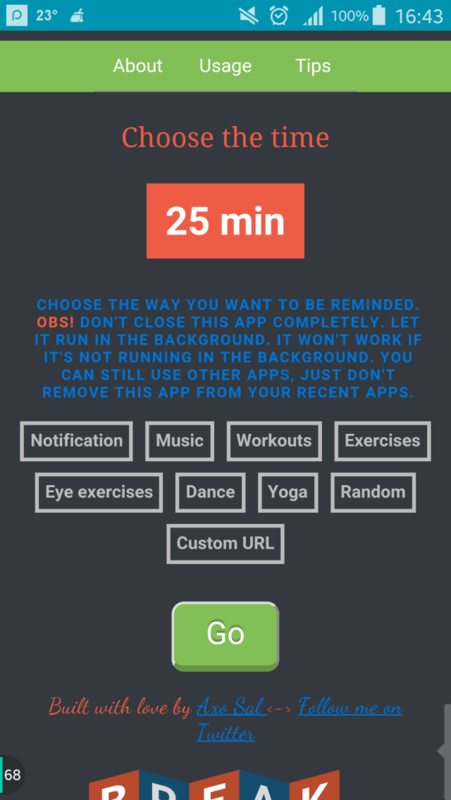 Can also be used as a pomodoro technique app.